The chicken wings with garlic , is a typical Spanish recipe. 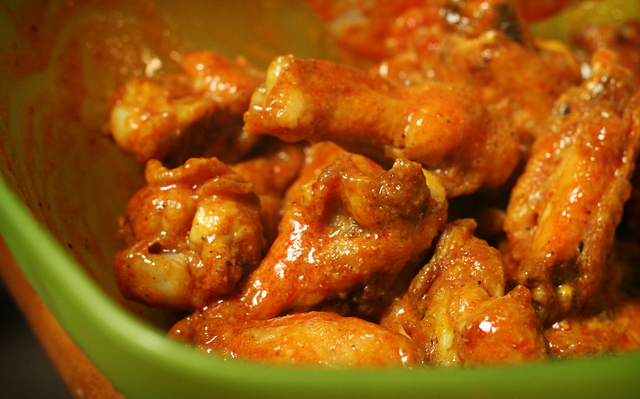 It consists of chicken wings fried on an olive oil flavored with garlic. Actually, it does not necessarily have to be wings. You can use chicken thigh or breasts. But prefer to do it with wings because they are not as dry as the breast, nor does it take as long to cook as the thigh. 5.- When it is fried, add the garlic that we had previously reserved and cook it for about 15 seconds. No more or if it will not burn and it will take a very unpleasant taste! You got a 24.91% upvote from @moneymatchgaming courtesy of @punjolife! Please consider upvoting this post to help support the MMG Competitive Gaming Community.